EL ARBOLITO,Queretaro--We visited the Ramirez family house while in Queretaro to interview their 16-year old son, who used to help tourists poach rare cactus species in the desert. The family no longer encourages this and their son Alvaro now runs a greenhouse to protect these species. 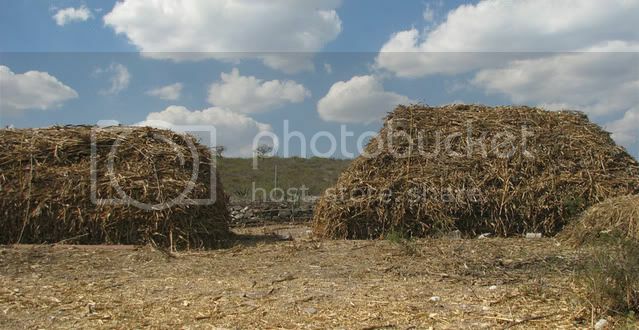 These haystacks rested on the Ramirez family property.